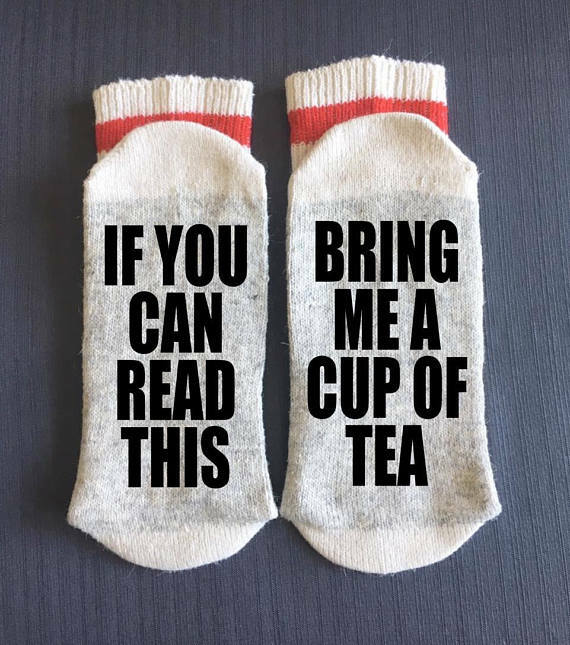 Tea lovers can be bookish folks or daredevil adventure seekers, they can be quiet or outgoing, they can be anglophiles or smitten with the exotic East. 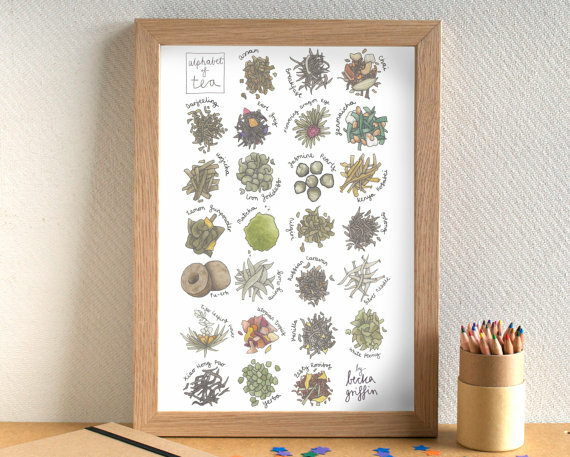 This diversity makes tea-lovers an interesting group of people. And interesting people need a gift just as unique as they are. 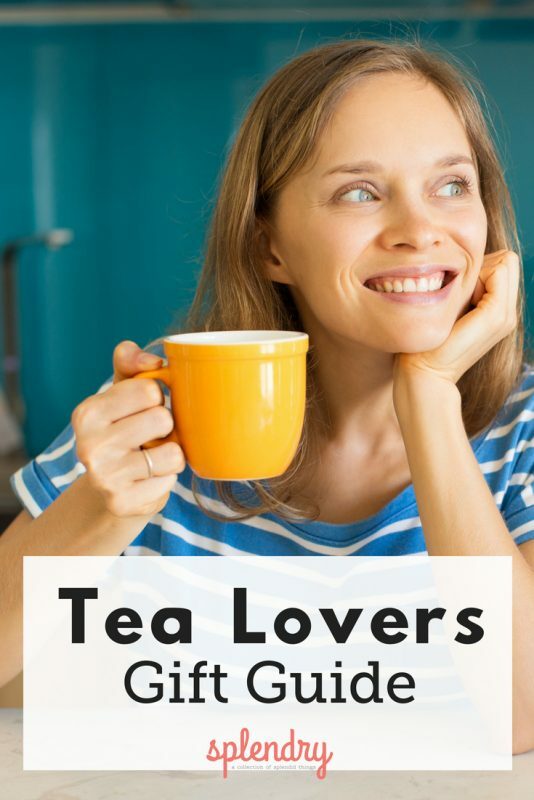 Perhaps, even a tea lovers gift guide! 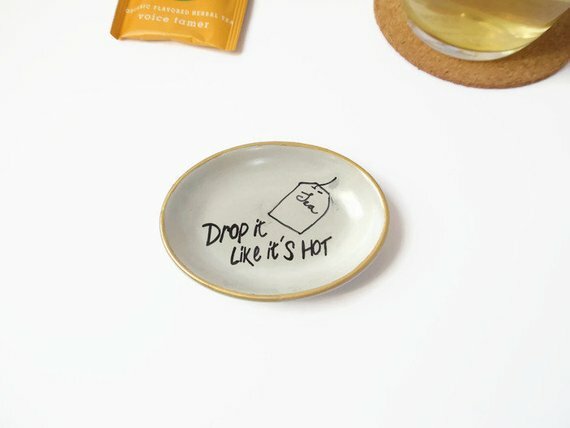 Here are 15 fun and unique gift ideas for the tea-lover in your life. 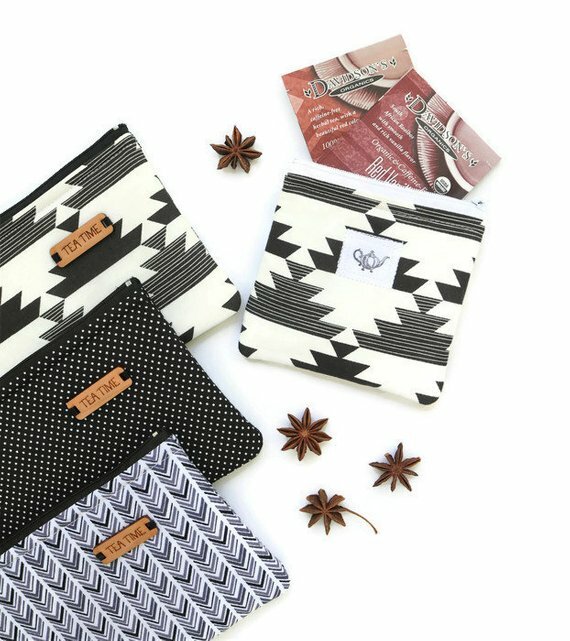 This black and white print, cotton tea wallet is perfect for the fashionable tea drinker on-the-go. 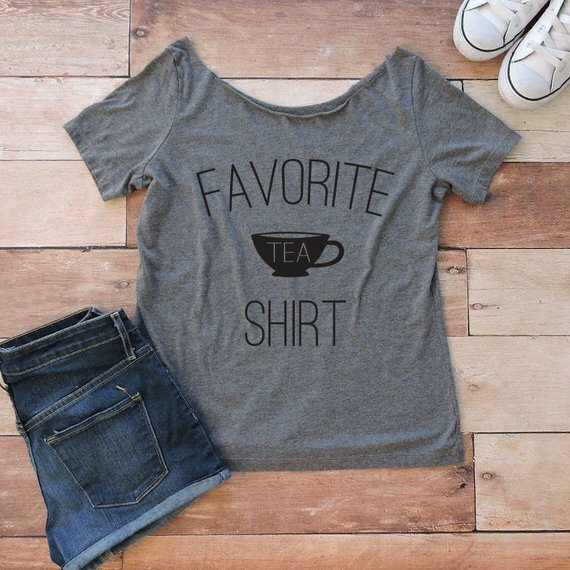 For the clever tea drinker with a taste for puns this classic tea-shirt can’t miss. Who says organization can’t be fun? 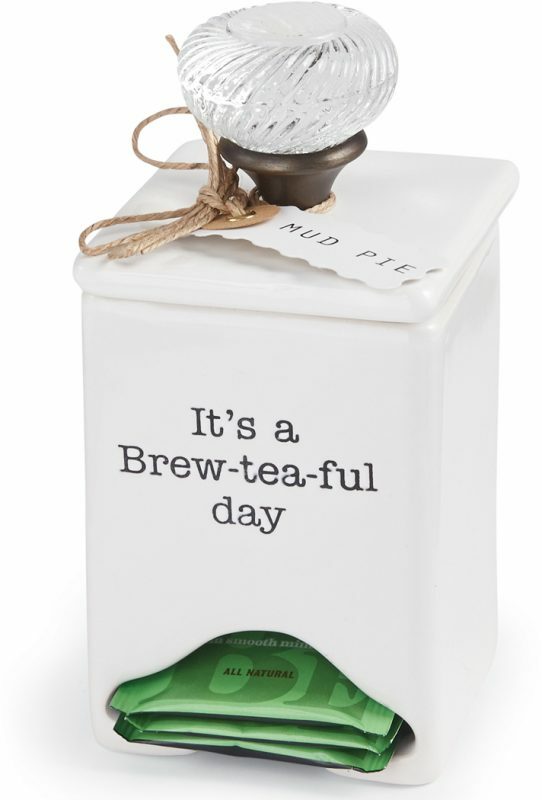 Teas can be kept cute and on-the-ready in this darling tea caddy. Tea for two is great, but tea for one is lots of fun when it looks like this. When art can be beautiful and educational, like this print is, you know you have a winner. No one can say no to cozy toes. 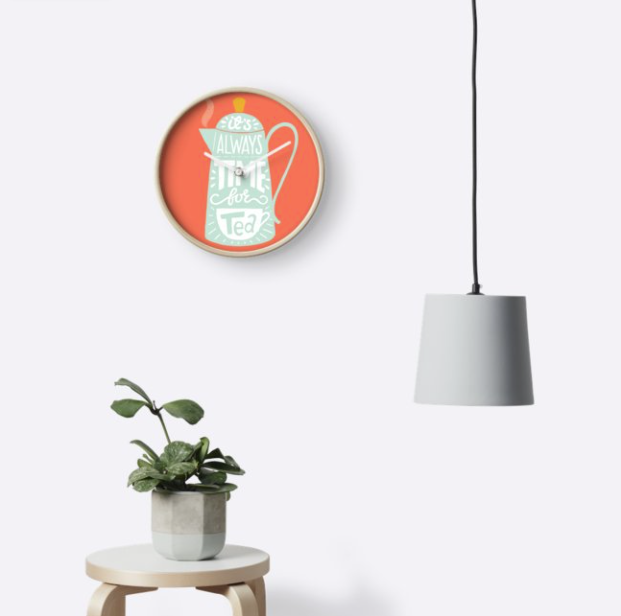 No matter what time it is, tea is never a bad idea. 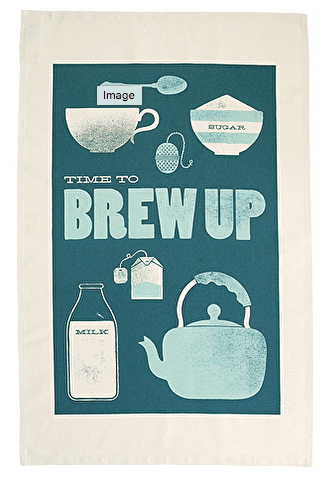 The tea drinker can never have too many towels and you can bet they won’t already have this unique piece. 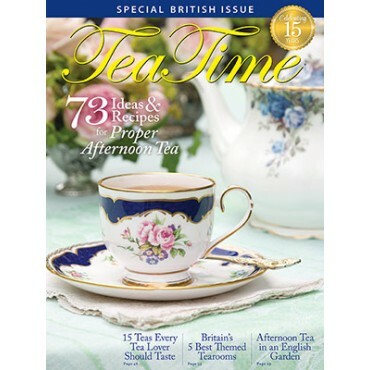 From tea-making tips to mouth-watering recipes, this is the gift that keeps on giving! 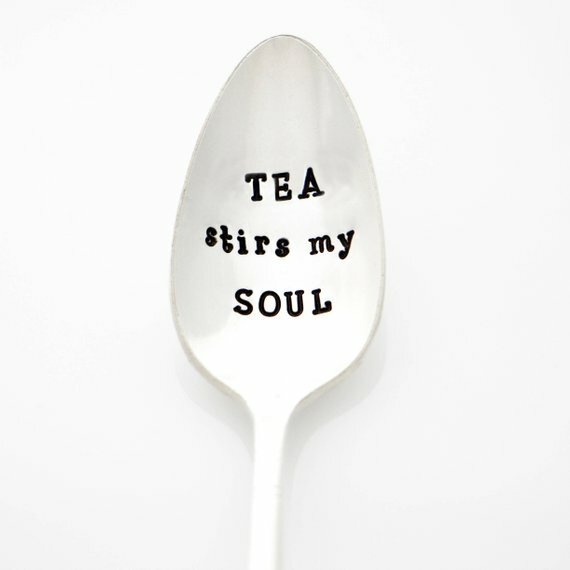 Who says you can’t have a little fun with your tea tools? 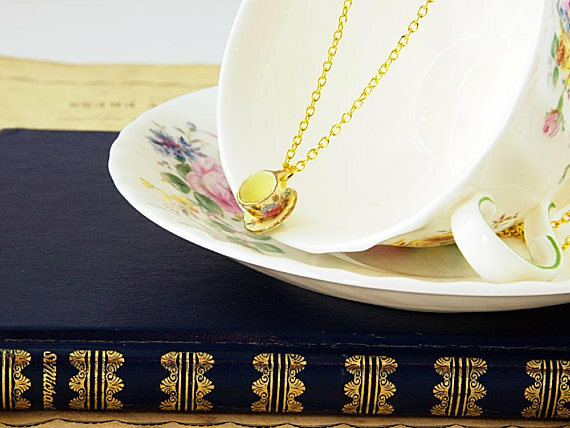 Fun and flirty, this yellow teacup necklace is sure to please. 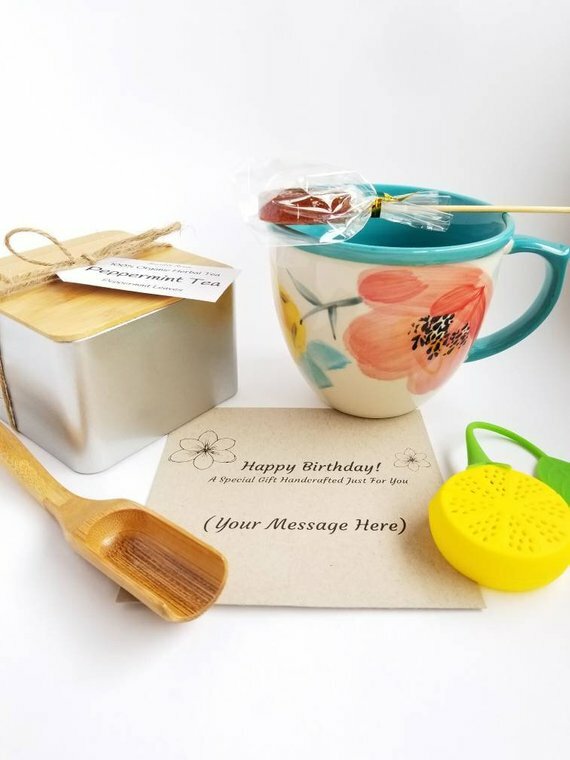 Give your friend a reason to smile every tea time with this useful and adorable teaspoon. 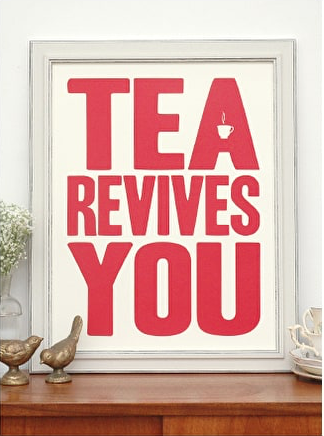 Every tea drinker thinks it, but this print just says it. 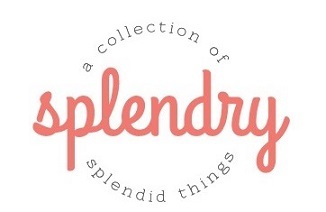 If you prefer a gift that’s ready-to-ship, this is a great collection to send for a special occasion. 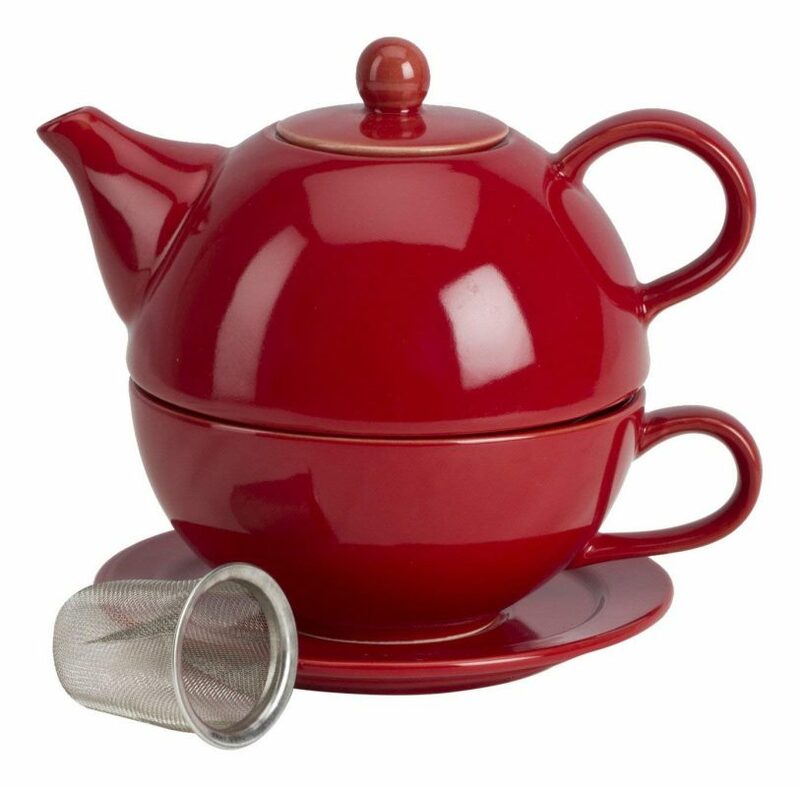 What does every tea drinker have? A lot of tea. 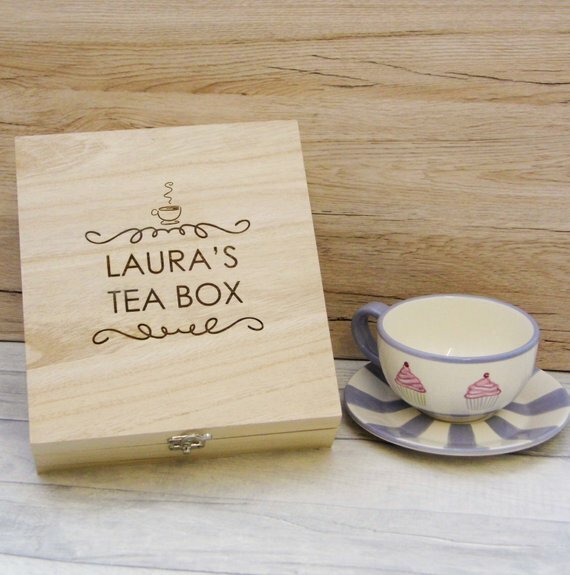 Now they need a place to put it that’s as cute as this custom storage box. Corrie is a freelance content strategist and writer who dreams of owning a small farm in Franklin, Tennessee that has at least one geriatric donkey, two geese, five sheep, and a grumble of pugs. When she’s not working, she can be found trying to locate shelving for her ever-growing book collection, drinking tea, or bird watching with her noble pug, Lord Keefe.